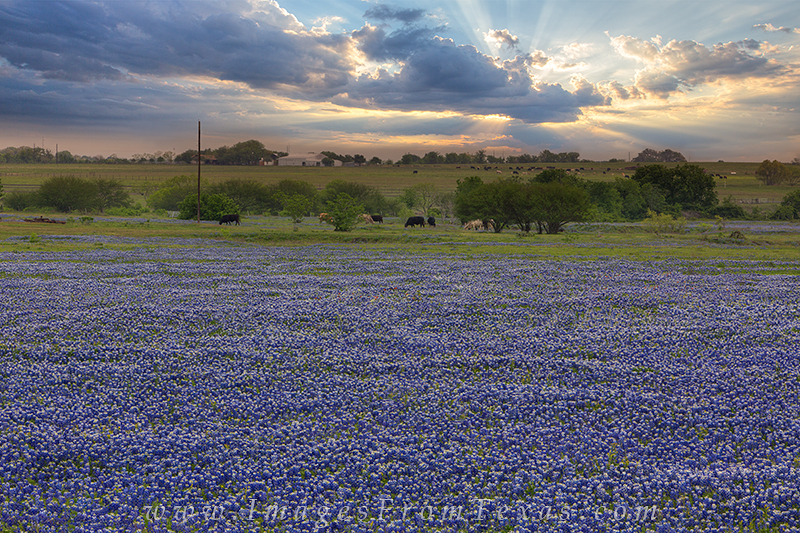 This landscape over east Texas presented the opportunity for a spectacular sunset along wtih a nice display of bluebonnets. In the distance, cows enjoyed their evening meal. I had to drive a long way to find bluebonnets in 2014, and this was one of the few trips that paid dividends. Photo © copyright by Rob Greebon.